Rushian Hepburn-Murphy has been named the Premier League 2 Player of the Month. 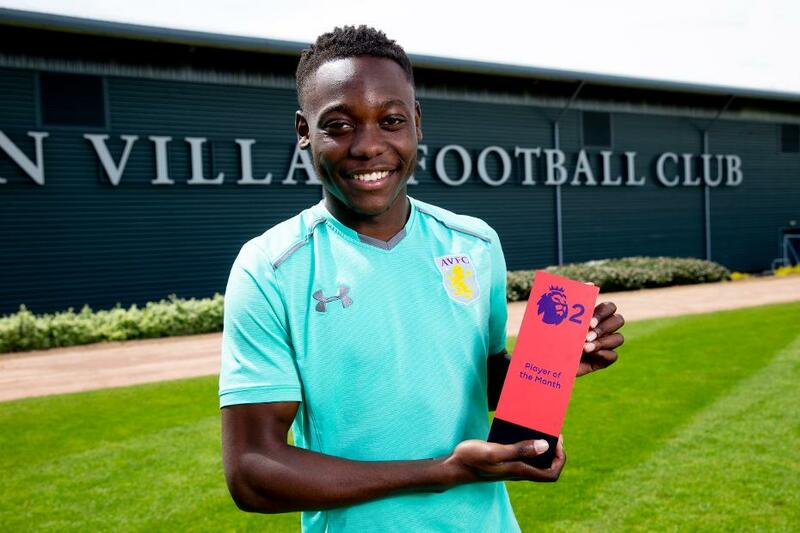 The 19-year-old Aston Villa forward won the award after scoring twice in the PL2 Division 2 win against Stoke City before helping his side overcome champions Blackburn Rovers. His goals in April also inspired Villa to the final of the PL Cup. He scored twice in the comeback win in the quarter-finals over Middlesbrough and again claimed a brace in the semi-final victory at Leicester City. Hepburn-Murphy continued his fine form into May. He scored a stoppage-time winner as Villa beat Reading 4-3 to reach the PL2 Division 2 play-off final and was part of the team who lifted the PL Cup after a penalty shootout victory over Swansea City.